The desire for innovative technology that can eventually cause disruptive changes remains high in the biotech pharmaceutical industry. The road between pursuing and developing that technology to genuine implementing is not a smooth ride. 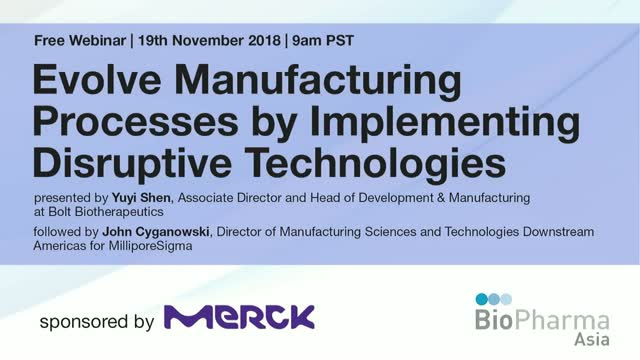 In this webinar, the presenter identifies key challenges of implementing innovative technologies and the major drive for implementing innovative technologies and process upgrades. The presenter will share some case studies of implementing successful innovation tools and provide comparative economic analysis based on the understanding the true value of innovation driven process design. The webinar also provide the insight of the balance needs for quality, cost and speed.